The American Philosophical Society has announced that Professor Catherine Gallagher has been selected as the 2018 recipient of the Jacques Barzun Prize in Cultural History for her book, Telling It Like It Wasn’t: The Counterfactual Imagination in History and Fiction. Inventing counterfactual histories is a common pastime of modern day historians, both amateur and professional. We speculate about an America ruled by Jefferson Davis, a Europe that never threw off Hitler, or a second term for JFK. 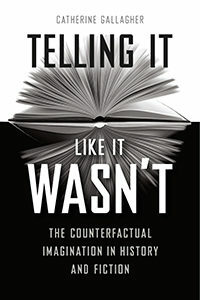 These narratives are often written off as politically inspired fantasy or as pop culture fodder, but in Telling It Like It Wasn’t, Catherine Gallagher takes the history of counterfactual history seriously, pinning it down as an object of dispassionate study. She doesn’t take a moral or normative stand on the practice, but focuses her attention on how it works and to what ends—a quest that takes readers on a fascinating tour of literary and historical criticism. 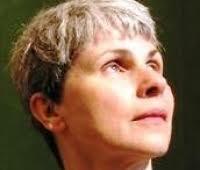 The topic of counterfactual histories has long engaged Catherine Gallagher. In addition to the essays in this new book, her “When Did the Confederate States of America Free the Slaves?” was published in the special forum Counterfactual Realities in Representations 98, and “The Formalism of Military History” appeared in our 25th anniversary special issue On Form. Catherine Gallagher is professor emerita of English at the University of California, Berkeley, and a founding member of the Representations editorial board. She is the author of many books, including The Body Economic: Life, Death, and Sensation in Political Economy and the Victorian Novel. When Charles Dickens’s A Christmas Carol and James Joyce’s “The Dead” are mentioned together, it tends to be on regional theater websites or on lists of “great holiday tales” rather than in any more sustained context of affiliation. This essay posits a deeper kinship between these beloved stories: they are both, I suggest, serious meditations on the ethics of hospitality. Unlike the Carol, Joyce’s story dwells on hospitality as a legal and political category as well, but it does so largely by inviting the Carol’s face-to-face ethics of hospitality into the political space of occupied Dublin. That colonial setting hosts an encounter among three forms of hospitality: the social codes of invitation and limited welcome; the ethics of limitless welcome to the absolute stranger; and the call within cosmopolitan political philosophy for a universal right of hospitality. “The Dead” thinks about how these hospitalities inform, delimit, and critique one another and asks whether they can still be thought in a political context of forcible occupation. Reprising the Carol’s interest in futurity, it considers, too, what is at stake in representing—or in refusing to represent—the future political form of a present colony. By the lights of such a reading, the Carol and “The Dead” are in fact antidotes to the holiday chestnut, a genre of foregone conclusions and sealed interiors. But we will not want to sever them entirely from the season with which they are so strongly identified. Insofar as it waits for a radical discontinuity in history—for a chance to welcome what has never yet been welcomed—the expectant temporality of Christmas remains central to these stories’ critical energies.